As you know, we cool much faster in the water than in the air. Even in a relatively warm sea, a diver will eventually feel the effects of the cold. The body will then launch a backup procedure. When the process fails, we enter hypothermia. But why cool down as fast in the water or is scuba diving cold? Water is one of the largest thermal capacities in nature. All physical bodies must absorb heat to increase their temperature. It may seem like a truism, but it is a physical law. The amount of heat needed to increase the temperature of a body is called its heat capacity. The higher the heat capacity, the more this body needs to absorb heat to increase its own temperature. Unfortunately for us, the water has a very high heat capacity. It absorbs and conducts heat about twenty times faster than air. The body produces heat faster than the air can absorb it, but it is not the case in the water. This explains why we will feel comfortable in the air at 70° or 71° F (21 or 22°C), while in water at the same temperature, we will quickly cold, without thermal protection. It is estimated that water should be at about 93° F (34° C) so that a man of medium build, unprotected, does not feel the effects of cold. This varies of course from one person to another and even between men and women of the same size. Why Don’t We Feel the Same Effects in the Cold When Diving? We are not all equal when it comes to scuba diving cooling, because it depends on several factors. The conditions of immersion are, of course, preponderant. The temperature of the water, the duration of the dive and the characteristics of the thermal protection (the diving suit) are decisive. But that’s not all. Indeed, we do not all have the same ability to produce heat. Well it’s wrong or at least not really true. Indeed, it is the muscle that produces heat when it is moving. The fat itself is an insulator. However, it turns out that – generally – overweight people tend to move less, therefore less heat. It is a bit like the snake biting its tail, according to a study by Anne Lonbes, director of research at the National Institute of Health and Medical Research (Inserm) . The fat / muscle ratio, however, does not explain everything. The feeling of cold can have many other factors. Thus, diving with an empty stomach will promote cooling. The physiological state also plays a big role, as does the psychological state. Diving by being a little helpless or depressed will increase the malaise and the body will have more difficulties to fight against the cold. The human body is an extraordinary machine. It has exceptional defense mechanisms, but it still has its limits. Regarding the cold, the body will always seek to maintain the temperature of vital organs: heart, brain … this is called the central temperature. For this, it will first limit peripheral traffic. The extremities are the first to feel the effects of the cold. The toes, hands numb. At the same time, the tremors appear. It is an attempt to produce heat by moving the muscles automatically (hence the interest of having a good muscle mass). Ignoring these warning signals could lead to the next step: hypothermia. Hypothermia occurs when the defense mechanisms have failed. The body gives up, somehow. Tremors stop, we enter a phase of mental confusion, fatigue and drowsiness that can lead to death. A doctor even explained to me that, in extreme cases, people were found dead from cold, in the nature, totally undressed, because in the final phase, one could also feel an extreme sensation of heat. In short, the cold in diving must be treated with the greatest seriousness. It should be known that when the process is engaged, it can never go back. It’s always going to get worse. For this reason, if you are really cold, you must stop the dive. Prevent the rest of the team, go back together and warm up gradually. The suit: the first protection of the diver is, of course, his suit. It can be wet or semi-waterproof, 3 to 6 mm thick for temperate waters, 7 to 8 mm thick for colder waters, or even waterproof for very cold waters. The notion of cold or hot water can vary from one diver to another. Gloves / slippers: protecting the extremities will reduce heat loss to hands and feet. Many instructors do not like it very much when their divers wear gloves that can encourage them to touch the fauna and flora with less apprehension. But here we are talking about comfort and safety. The hood: we lose a lot of heat through the head. Personally, I never dive without it, even in tropical waters. The cold gas in the bottle helps to cool the body: False. Indeed, if the sinuses and the trachea (which is the role of the trachea) warm the air that enters the body and therefore lose calories, they find them when the air leaves the lungs again, warmed by the body temperature. Movement and physical effort warm up: True and False. This is true if you also have good insulation to keep the heat produced. On the other hand, if not, more water is circulated on the skin, so there is no heat loss in the end. Urinating in the warmed suit: Wrong. Urine carries body heat with it. In addition, the short sensation of heat caused reduces or even eliminates vasoconstriction. The blood starts circulating over a larger part of the body and will eventually cool down. The chemical reaction of air recycling produces heat. The latter therefore arrives slightly warmed up in the regulator. 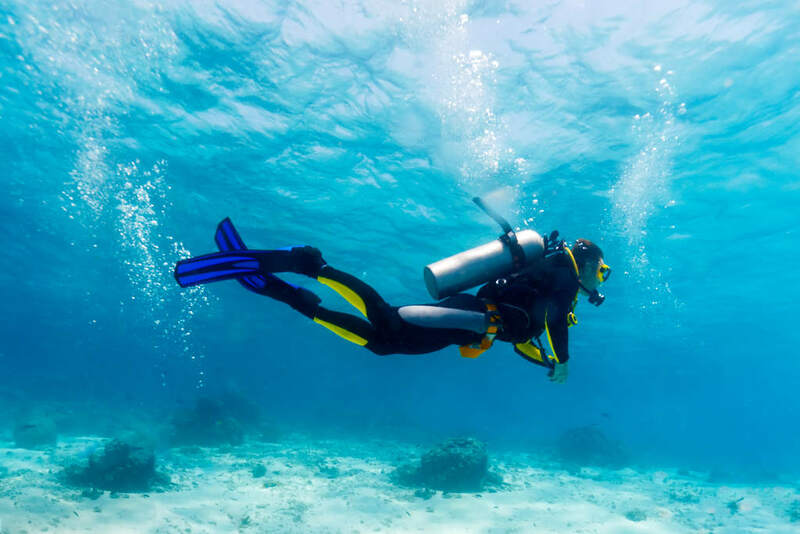 Feel free to comment on this article and share your experiences with new divers answering the question Is scuba diving cold?